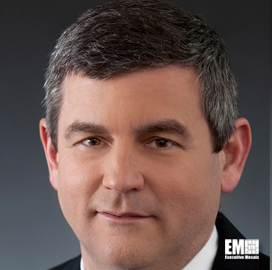 Mike Petters, president and CEO of Huntington Ingalls Industries, said the USS Gerald R. Ford supercarrier project presents a challenge because the ship will incorporate newer technologies, the Daily Press reported Thursday. “We’re now at the point where we have to tie all this new technology together and test it,” Petters told an audience at a Goldman Sachs-sponsored industry forum held Thursday in Boston. “We have a schedule, we have a cost plan, and we believe that’s our best estimate,” he added, according to the newspaper. Hugh Lessig writes the Ford will be the first in a class of new aircraft carriers and Huntington Ingalls expects to deliver the ship to the U.S. Navy in 2016. The vessel is intended to have modern aircraft launch and recovery systems as well as dual-band radar and automation platforms not found in the branch’s Nimitz-class carriers, according to Lessig’s article. Navy Lt. Cmdr. Sean Robertson said the branch plans to evaluate the Ford’s electromagnetic catapult system next year, the newspaper reports. The Ford is also slated to undergo a series of dockside and at-sea trials before its commissioning, according to the newspaper.